In the end of November, as it is the case every year since 2004, Oxford Dictionaries revealed their choice for the word of the year. For 2016, they settled on “post-truth”. This adjective, defined as “relating to or denoting circumstances in which objective facts are less influential in shaping public opinion than appeals to emotion and personal belief”, echoed a number of events of the past few months, including UK’s vote in favor of Brexit and, most infamously, the election of Donald J. Trump. Following the announcement, a few commenters were quick to observe that “post-truth” could be considered as an emanation of postmodernism, the brain-child of post-1968 French philosophy and critical theory. Whether you buy this or not – I don’t -, there’s no denying that “post-truth” has been everywhere in the press and on social networks. Yet, as a historian of science with little – if any – interest in questions of “truthfulness” and “falsity”, I would like to suggest another ten-letter word for describing more accurately what has been going on over the past few months – and, admittedly, over the past few decades as well, 2016 representing in my opinion some kind of turning point in its development. This word is: “agnotology”. For those of you who are not familiar with the concept elaborated by Robert N. Proctor in books such as The Cancer Wars: How Politics Shapes What We Know and Don’t Know About Cancer (1995) and Golden Holocaust – Origins of the Cigarette Catastrophe and the Case for Abolition (2012), suffice to say that “agnotology” is the production and dissemination of ignorance – as well as the study of this phenomenon. Proctor’s argument in a nutshell is that knowledge is not created out of a vacuum which we would call “ignorance” but, instead, that both knowledge and ignorance are social constructs, therefore contingent to many social, political and individual factors. The production and dissemination of ignorance, therefore, can be studied using the tools that are traditionally attached to the history of science, making the distinction between science and non-science not so significant in the process. When we look at the history of how the cigarette industry intentionally spread doubts about evidences that linked smoke ingestion to cancer, there were a few scientists to back this claim. At first, I was skeptical about “agnotology” because I had read Naomi Oreskes and Erik Conway’s Merchants of Doubt, which does not use the term “agnotology” but tells a relatively similar story of ignorance dissemination, and was unsatisfied with the way they tried to demarcate between the good, disinterested scientists fighting for truth and those who were paid by big corporations to spread false information – I had expressed my dissatisfaction on the INET version of this blog. However, I do not find the same problem with Proctor’s historical narrative which is not so much interested in questions of demarcation but rather in the cultural and political context in which ignorance is produced and disseminated. Accordingly, agnotology has been used in the history of economics by Phil Mirowski and Edward Nik-Khah in a way that may seem controversial at first but which I found, after some resistance, increasingly convincing. After all, agnotology deals with producing and distributing something, so economics should not be too far away when we think about it. Two French economists have recently tried to use Proctor’s work, without using the term ‘agnotology’, in order to build a case against the critics of mainstream economics but in my opinion – which I have expressed in a forthcoming review of their book for a French STS journal -, they fell short of understanding the complexity of the concept and, quite ironically, ended up generating a lot of agnotology over the current status of their discipline. Donald Trump: the rise of agnotologic governmentality? But so much for these issues of scientific demarcation – or lack therof. “Agnotology” is an enlightening word to describe 2016 because it is effectively applicable to the political issues of the day. Ignorance production and dissemination is not something which is just relevant to scientific issues. It is actually, a total social fact in the Maussian sense of the term, one that ties together cultural, psychological and political elements. With the election of Donald Trump, I even wonder if it is not possible to assert that we are entering an age of agnotologic governmentality, a way of governing that uses ignorance as a political device. In using the term governmentality, I explicitly refer to Foucault’s Birth of Biopolitics. Governmentality, in Foucault’s conception, should not be confused with “government”. A regime of governmentality is enforced, not just by the State, but at many different levels where knowledge and power are connected. Suffice to replace knowledge by ignorance and then you have some idea of what a Foucaldian version of agnotology could look like. Since his election in November, Donald Trump has been a master in disseminating so much information, both in the press and on social networks, that it is almost impossible to assess what his legislature will yield. But of course, this had not begun with his election: this is the way he had behaved since the very beginning of his campaign at the Republican primaries. At the time, it had been summed up in one fantastically short tweet. Donald Trump is like if the comments section were a person. Now that “the comments section” has become the new President of the United States, we can argue that the kind of ignorance that such comments section typify will noy only lead the most powerful nation, but as a result will preside over the way of the world at large. But ignorance is not a “top-down” phenomenon and that’s what makes it so stealth, yet powerful. Ignorance is cultivated at every level of the society and now, through more or less trustable internet news coverage, it is disseminated at a higher speed. Even academics and self-proclaimed “intelligent” people such as you and I can be subjected to it. If you have been a regular user of social networks in the course of the past few months, I defy you to tell me that you have never fallen into a clic-bait, believing for at least a few minutes a piece of information that has been revealed to be either false or (mis)guided by a non-objective source. The bombing of Aleppo, for instance, has been the subject of so much news coverage that it is impossible be sure that everything we were told was true. While there is no doubt that, on one hand, some information has been manipulated by pro-Syrian and Russian medias, we are not so naive as to believe that there is no propaganda on the other side, too. Increasingly complex conflicts and social issues such as this one are not easy to grasp and we can all be deceived. Effective propaganda knows how to exploit the capacity we all have to doubt. It is no surprise that agnotology is often related to neoliberalism. It is not so much, I think, that there is a mechanical relation between the two but, instead, that both are so squeezed in the recesses of our our everyday life that they are difficult to espace, unless we turn off our computers and start leading a more recluse life – which may not be a bad idea after all. Anyway, I am afraid I have conveyed that 2016 has been a very bad year and this is similar to a lot of rants you have already read elsewhere. I should apologize for my lack of originality. But there is also a more positive message: as historians of science, we may be able to apply our critical toolbox to the understanding of how we got there and, hopefully, how we will be able to get away with it. Some time ago, in a conversation, a colleague of mine referred to John McCumber’s book «Time in the Ditch» and I saw the reference to the same book in Roy Weintraub’s recent text on McCarthyism and the mathematization of economics. This coincidence – and the fact that I had known McCumber before as an important Hegel scholar – made me look more closely at the topic I’ve been brooding about since quite a while. Yes, we know, after the work of Phil Mirowski and Sonja Amadae, that Cold war mattered for American economics in pushing it closer to the ideal of a ‘hard science.’ Well, somehow, almost simultaneously, in the beginning of the 2000s, McCumber told us that American philosophy had also been made more scientific in response to Cold war challenges. My claim here does not bear directly on Weintraub’s argument (that the influence of McCarthyism on the research practices of economists has been exaggerated and is not really supported by the evidence), but rather invites to reflect on the more general affinities between mainstream economics and analytical philosophy prompted by this historical research. The analogies (noted once to me by Eric Schliesser and, as far as I know, never really thematized – but I would be most grateful for any references) do matter for me both historically (as parallels in what was happening in – largely Anglo-American – philosophy and economics in the last century) and systematically (in teaching us what kind of knowledge mainstream economics and analytical philosophy were and, to some extent, continue to be). Meanwhile, along with and after McCumber’s book, a number of important studies emerged – such as Steve Fuller’s portrayal of Thomas Kuhn as a Cold warrior; George Reisch’s analysis of the formalization happening in the postwar American philosophy of science; or Joel Isaac’s detailed and fascinating story of Donald Davidson’s entanglement with Patrick Suppes and other economists and decision theorists. Philosophy, along with behavioral sciences, economics, and operations research, has thus taken its place in the thick historical narratives documenting the shift to a more applied (but not pragmatist!) and, at the same time, more formalized, rule-based, algorithmically oriented kind of knowledge. This shift involved, among many other things, the move away from humanities (broadly conceived) in search for transparent and universally comparable knowledge regime following a ‘tool shock’ (Isaac, again). Now, is there any sense in juxtaposing analytical philosophy and mainstream economics? Apart from some obvious thematic overlaps – such as, in the case of Davidson and Suppes, value and action theory – there are general aspects worth thinking about. I would tentatively call them three universalisms and I’d abstain, on purpose, from any strict separation between internalist and externalist perspectives. Of course one can find a lot, a lot of counterexamples, but what I sketch here are just general tendencies, to be beaten only by equally general and more plausible ones. It’s not a comprehensive history, it’s a perspective that might help illuminate the history and sociology of the economics and philosophy professions. The first kind of universalism is fairly obvious: both disciplines value universal knowledge, they clearly prefer generalizations over historical situatedness, abstraction over the entanglement into cultural contexts, and formalized reproducible truths supported by the hard data over the relativisms of interpretation. One could elaborate, but I’d just leave it here. The second universalism is mostly rhetorical, and perhaps could be found in other disciplines, too. It consists in colonizing the words and continuously reproducing the pars pro toto trope, with certain type of economics suddenly becoming the whole of economics, with certain type of philosophy suddenly representing the whole of philosophy (even Isaac could not avoid this), and with an extremely tough and protective boundary work (see, e.g., Tiago’s important paper on that). The third universalism consists in a democratic and inclusive nature of both communities. We know it can be a spurious effect, we know that status and prestige play a role everywhere in the academia, and still, in contrast with heterodoxy and continental philosophy very much centered around ‘big’ figures, dead or alive, we cannot ignore the salience of the collective and collaborative nature of the profession on the other side (just think of the increasing population of Daron Acemoglu’s co-authors). In mainstream economics and analytical philosophy, the thinkers and poetic geniuses make way ‘to humble, competent people, on a level with dentists,’ most problems are technical, and the solutions are near at hand. But this makes any exception, any unusual constellation, any identity shift even more interesting, both sociologically and in terms of intellectual history. The eleventh History of Recent Economics Conference (HISRECO) will be held at the University of Lucerne on April 21-22, 2017. Since 2007 HISRECO has brought together researchers from various backgrounds to study the history of economics in the postwar period. It is the organizers’ belief that this period, during which economics became one of the dominant discourses in contemporary society, is worth studying for its own sake. The increasing availability of archival materials, along with the development of new perspectives inherited from the larger history and sociology of knowledge, has helped to provide insightful histories of the development of recent economic practices, ideas, and techniques. In particular, this area of research offers good opportunities to young scholars who are interested in interdisciplinary approaches to the history of economics. We invite researchers in all related fields to submit a paper proposal of no more than 500 words. Even though the organizers are open to a wide range of approaches to the history of economics, paper proposals that address the interface between this field and the history and sociology of science, or cultural and science studies will be particularly appreciated. Proposals should be sent electronically (as a pdf file) to Verena Halsmayer (verena [DOT] halsmayer [AT] unilu [DOT] ch) by October 14 2016. Successful applicants will be informed by November 15 2016. Thanks to financial support from the University of Lucerne, FIPE (The Institute of Economic Research Foundation, Brazil), the European Scientific Coordination Network (GDRI, CNRS) and the KWI (Kulturwissenschaftliches Institut) Luzern, HISRECO has limited funds to partially cover travel and accommodation for up to four young scholars (PhD students or researchers who have obtained their PhD over the past two years, from July 2014 to October 2016). Young scholars should include in their proposal their current affiliation and the university and year of their PhD, if this is the case. Those needing more information about funding are welcome to approach the organizers. For those who want to know more about HISRECO, a list of past conferences and contributors can be found at http://www.hisreco.org. The organizers, Verena Halsmayer (University of Lucerne), Pedro Duarte (University of São Paulo), Yann Giraud (University of Cergy-Pontoise), and Joel Isaac (University of Cambridge). Dr. Phil – or how I stopped worrying about economists and embraced neoliberalism. At the latest History of Economics Society Meeting, I, with a number of friends and colleagues (co-bloggers Béatrice Cherrier, Till Duppe and Floris Heukelom), participated in a roundtable devoted to “the practical challenges of writing recent history”, organized and chaired by E. Roy Weintraub. On this occasion, we all gave speeches – mostly drawn from personal experiences – that addressed how writing the history of recent economics is different from doing the history of older economics and the kind of practical issues it required us to consider. Most of our talks addressed at some point or another the relation to current economics: on the one hand, writing the history of recent economics resonates with current research in the field, but on the other hand, economists can disagree – sometimes in print – with the kind of accounts that historians construct about them. So, in sum, writing on recent economics can help you being noticed by economists, but sometimes there is attention you may just want to avoid. Then, at the end of what was an interesting, if somewhat polite, discussion, Philip Mirowski intervened, saying that our talks were, in his opinion, too focused on our relation with economists, that we have no reason to fear them, that they have no interest in history whatsoever, whereas, at the same time, science studies scholars are mostly concerned with economics as a subject, because they feel that the prevalence of economic imperatives on the academia is a threat to the humanities departments in which they are located. The trends we observe … seem to illustrate … [the] increasing estrangement between economists, when writing to the profession at large in their general top journals, and HET. Not only have we shown that, in contrast to the 1970s, fewer HET papers have been published recently in most of the top journals we studied, but we also demonstrated that the papers that have been published are so diverse in the methods they use and the issues they address that it is very hard to see them as a coherent whole—not to mention as part of a unified subfield. In particular, the fact that most of these articles rely not on specific tools and methodologies, but, rather, on surveys and quite general statements may have contributed to the conflation of historical investigations and literature surveys. Therefore, practicing economists themselves have become the main narrators of their past, whereas historians are less and less seen as the expert community to be properly consulted when accounts of past economics are needed. … As a result, the issues that are central to the latest developments of the history of economics … and the new tools that historians are using to address them … have yet to make their way into the mainstream literature. On the other hand, sociologists, historians, political scientists, and even management scholars are increasingly drawn to the history of recent economics. They do so because they feel that economics is an important part of today’s social, political and cultural environment and they want to understand it. Of course, there’s nothing new about this. Another friend and colleague of mine, Loïc Charles, has done work on 18th century economics with practicing historians, showing how economic thinking was intertwined with a lot of things happening at the time: international trade (including, most notoriously, slave trade), the colonization of the Americas, the French revolution, etc. But what is specific to the recent – postwar – period, is that economic thinking is not just mixed with other types of knowledge and practices, but increasingly, is THE knowledge which is used as a way to ground, to legitimize all knowledge and practices. This recent move toward the economization of every aspect of our society is what researchers have come to designate as “neoliberalism”, and this is the one of the main concepts that makes the study of postwar economics a possibly interdisciplinary venture, one that has a lot of chance to attract readers and create scholarship. Clausen and Anne Krueger in 1982 shifted the Bank’s philosophy toward a ‘Washington Consensus‘ consistent with Reagan’s program”? That is also the subject of many contributions to the history of neoliberalism. In fact, we now have a neoliberal narrative for everything: even TV series are subjected to it. So, should we embrace all of it? Of course, not necessarily. These accounts are often partial and in need of qualification. Also, I am not claiming that every history about modern economics is underwritten by this neoliberal narrative. There are many other narratives to draw. But this is one strong reading of the current situation, and as such it needs to be addressed. This is also a fascinating laboratory for possible discussions between historians and sociologists of all social sciences, as well as with cultural theorists and political scientists. This is why I expect that when Pedro, Joel Isaac, Verena Halsmayer and I do the next HISRECO conference in Lucerne on April, 21-22 2017 (call for papers coming soon!! ), the term “neoliberal” is going to pop up once again on several occasions. *Not to mention the fact that even notorious neoliberal institutions have ended up acknowledging themselves. Familiar letters written by eye-witnesses, and that, without design, disclose circumstances that let us more intimately into important events, are genuine history; and as far as they go, more satisfactory than formal premeditated narratives. The most rational man I ever met, whom I shall call Ysidro [when] told that he did not satisfy all of the v. Neumann-Morgenstern axioms, [..] replied that he thought it more rational to satisfy his preferences and let the axioms satisfy themselves. This introduced in the extensive correspondence between Samuelson, Savage, Marschak, Baumol, and Friedman the idea of the “Ysidro Man” or “Ysidro functions.” In the letters (but not in published print) Samuelson also introduced his mother – as the non-economist acting on her common sense. Thus, for instance, Marschak would discuss with Baumol how best to axiomatize the behavior of Samuelson’s mother. These archetypes are more commonly labelled homo economicus and homo sapiens – very dull terms indeed (and why the Latin anyway?). So, from now on, when we talk about the homo economicus let’s instead ask: What would Ysidro do? And when criticizing that economic conception as unrealistic, let’s do that by referring to what Samuelson’s mother would do. Call of Duty: Black Ops is one of the top selling video games of all time, part of the Call of Duty series that has a loyal and cultic following. 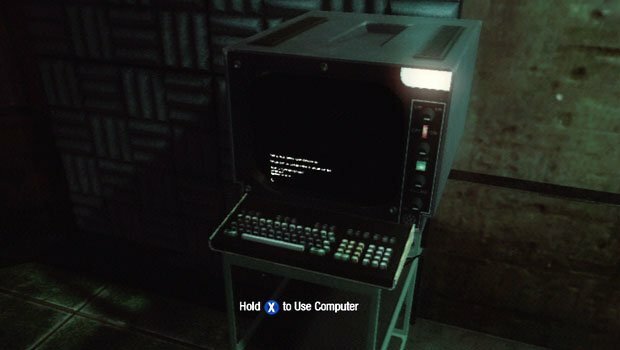 Black Ops “Easter Egg” (hidden feature, sub-game, plot, messages) is obtained at the starting screen where the character can release himself of the torture chair and walk to a computer console. At the console, the player can run a command based adventure game, a zombie arcade game, and personal advice game, and it can access the CIA and Majestic-12 files of characters of the game (for more story content), plus some famous folk. I was surprised to find Vannevar Bush as one such entry, passwords: MANHATTAN and MAJESTIC1. Bush is a well known name in the history of science as the father of the post-1945 federal research system, including the National Science Foundation (NSF). He makes a cameo in the game as the Dr.-man of science in the service of the no-rules, intelligence agencies. Black Ops’s plot line is a race against the clock to prevent a chemical Armageddon. But of course, it is not Bush that has the finger on the trigger, it is the Soviets. Damn you Soviets!